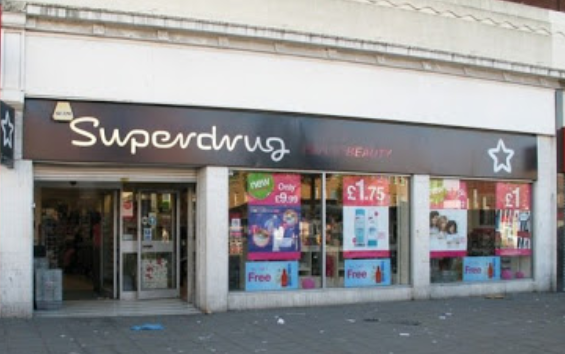 Superdrug Lewisham Review: Is being black a crime? Today's #BlackFriday post is one I've been 'umming' and 'ahhing' about writing about for some time, but I finally decided to bite the bullet, and just go ahead and write it. On Thursday 25th July 2013 my cousin and I went to Superdrug Lewisham to pick up a few bits and bobs. Upon entering the store, we noticed the security guard was just dossing around and not really doing his job. As soon as he saw us he suddenly became very alert and started following us around 'discreetly'. From the way he was following us around it was very obvious that he thought we wanted to steal our items. My cousin Hannah had been previously telling me about the Maybelline 24Hour Lip Colours, as she has recently discovered them and is in super in love with the product. She was so in love with her new best friend, she'd even put some on her lips that day. We were looking for the exact colour she had on her lips, but couldn't see the lip butter anywhere in the Maybelline aisle. As we couldn't find it Hannah brought out her lipgloss to let me see the name, so we could see if it was in store. As soon as she put HER lip butter in her bag, the security guard charged over saying: "I saw you put something of ours in your bag". To which, Hannah replied: "Yeah my lipgloss. I put it in my bag because it was mine." * Security Guard- The security guard was extremely unprofessional and rude. Here are a few of the insults which were directed at us: "I will not tell you guys my name, because you are not worthy"
"Is the hair on your head even real?" May I add, that as if the verbal results weren't enough, he actually pushed Hannah, and at one point I actually had to stand in front of her bodyguarding her, and raising my arms in a shield-like movement as I was scared he would actually hit her or worse. *Laura + Rose- 2 Superdrug emloyees discussed the scene with other customers in the shop, and NEVER at one point did anything to help. *Muhammad- A Superdrug employee who was on tills at the time, was the only memeber of staff that behaved as if he had been given customer service training, and apologised to us for the aggravation, and gave us Head Office details when asked. *Gifty- The Store Manager escalated and aggravated the situation further, by deciding her beloved security guard, who had worked in the store for 8 years was right, without looking at the cameras! Sue Tipler- Customer Care Tem Rep. assured me she was chasing up the matter, when she did nothing of the sort. *Miss Wan- Head of Customer Operations promised me call backs, and assured me she was treating the matter appropriately and seriously. This was a LIE! *Regional Manager- Kamila Dajnowska told me although she was Regional Manager, she didn't cover the Lewisham store in particular, so offered no help. Granted she could not directly help, but she could have at least pointed me in the direction of someone who could help. *Other RGMS- Lynne Gunner, Karen Turner, Sarah Berry, James Rumsey- Collectively did NOTHING despite the numerous emails and phone calls I made. We called the police at the time of the incident and were told the matter was under investigation, but I bet you can guess how helpful they were without me having to tell you? (CLUE: As helpful as a hole in the head). We (as in Hannah and I) obviously contacted Superdrug's Head Office and requested a written apology and compensation for the incident. After numerous emails with one of the customer care representatives, (Sue Tipler) offered me and my cousin an apology email and a £5 Superdrug gift voucher which she proposed me and Hannah should share. The fact that we don't have the written apology we requested is insulting enough, but the cherry on the cake is that Sue seems to think awarding each of us £2.50 (by terms of compensation) is even more so insulting! I'd be very interested to hear what you guys' thoughts on the matter are, so do let me know if anything similar has happened to you in any store (although I'd be especially interested to know if this has happened to you guys in other Superdrug stores or even the Lewisham branch itself? I did think twice about writing my post but then I thought, why shouldn't I say something? Why not let others hear? Why should this problem be buried? If we bury the problem, the problem becomes ignored and swept under the carpet, and can never be addressed or changed in future, so I felt the story had to be shared!! This was a great post. I can't believe this happened in lewisham as its a predominately multi-cultural area. This is disgusting as a body guard you should always be professional. I'm pretty sure your not the only one this has happened to but I guess your the one in few that actually followered it up.